I'm back. I know it's been a while since I posted mostly because I'm not sure whether or not anybody is reading this blog. I came across this awesome creature along the trail at Cave Creek Regional Park in Maricopa County, AZ. 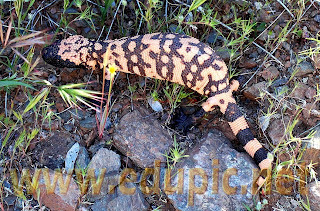 The Gila Monster (Heloderma suspectum) was one of the animals on my "life list" that I've wanted to locate and photograph for several years. Most sources say that a wilderness sighting is rare so I consider myself lucky. It hissed and showed its teeth at me but was otherwise not at all agressive. 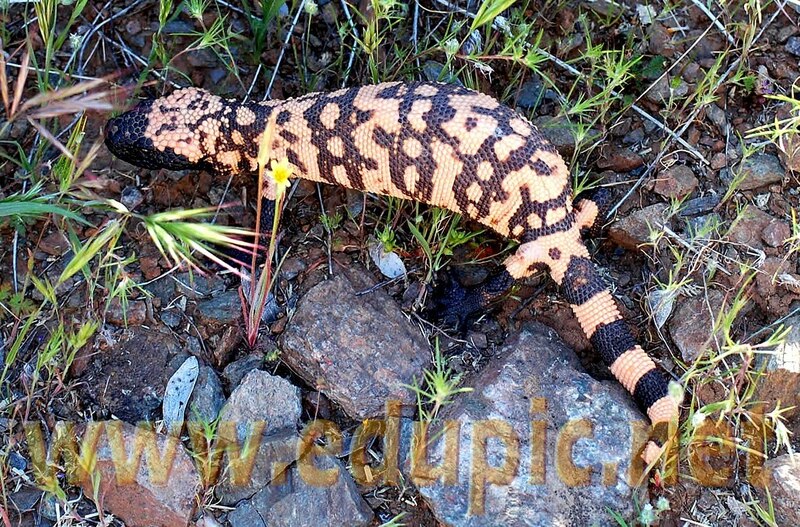 This largest of our native lizards is one of the only two that are venomous. As I understand it, once bitten the victim faces a struggle to remove the offender as the reptile works it powerful jaw to inject its venom. Thank you for posting this information. With luck maybe I can find one, too.